April 1 is upon us! After years of thinking about doing NaNoWriMo or Camp NaNoWriMo, I’ve finally decided to take the plunge, so this year I’ll be participating in Camp NaNoWriMo! You can set your own individual word count goal, unlike regular NaNoWriMo. I’ve decided to set my word count goal at a meager 10,000 since I’ll be doing a significant amount of traveling in April (including going to Seattle for the live table read of my screenplay SAVING SHENANDOAH! Yay!). I know I may be playing it safe with this goal, but I’m still excited and I’m determined to keep the momentum up and keep working on the Young Adult novel adaptation of that same screenplay. 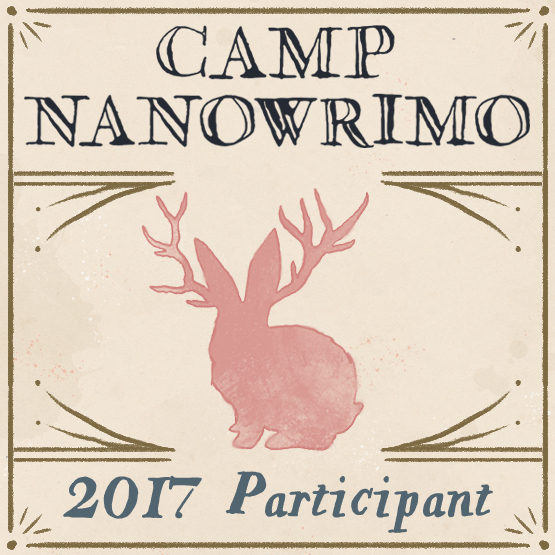 I’m looking forward to Camp NaNo (and have already written 445 words.) If you’re also participating, I’d love to hear from you. Are you doing the full 50,000 word novel from scratch? Have you set a different goal for a different type of project? Whatever you’ve chosen to undertake, happy writing!